Thank you so much friends for all your birthday wishes and for making me feel so special. 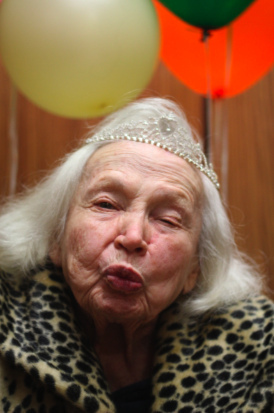 My 96th birthday celebration was wonderful. My grandchildren gave me a crown and I got to be queen for the day! I think I will keep wearing it. Why not?